00 - 06 AUDI / VOLKSWAGEN. 1.8L (1781cc) DOHC L4 (20-Valve), TURBO. 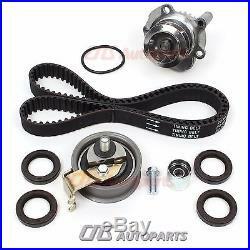 Brand New Timing Belt Water Pump Kit (Metal Impeller). 01 - 01 AUDI A4 TURBO 1.8L DOHC L4, (20 Valve), VIN Code "BD1042384". 01 - 01 AUDI A4 QUATTRO TURBO 1.8L DOHC L4, (20 Valve), VIN Code "BD1042384". 00 - 06 AUDI TT TURBO 1.8L DOHC L4, (20 Valve), ENG Code "AWP, AMU". 00 - 06 AUDI TT QUATTRO TURBO 1.8L DOHC L4, (20 Valve), ENG Code "AWP, AMU". 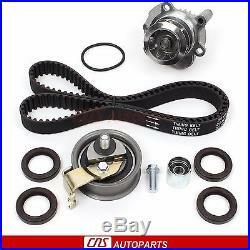 01 - 05 VOLKSWAGEN BEETLE TURBO 1.8L DOHC L4, (20 Valve), ENG Code "APH, AWV". 01 - 06 VOLKSWAGEN GOLF TURBO 1.8L DOHC L4, (20 Valve), ENG Code "AWP". 01 - 06 VOLKSWAGEN GTI TURBO 1.8L DOHC L4, (20 Valve), ENG Code "AWP". 01 - 05 VOLKSWAGEN JETTA TURBO 1.8L DOHC L4, (20 Valve), ENG Code "AWP". 1 Timing Belt (150 teeth). 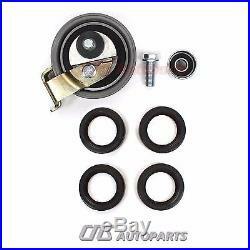 1 Tensioner (bearing assembly), Bolt, & Washer. 1 Water Pump (w/ Metal Impeller) & Seal. Hydraulic Tensioner is "NOT" included in this kit. For AUDI A4 (2001) to vin BD 1042384, Please double check your VIN number. 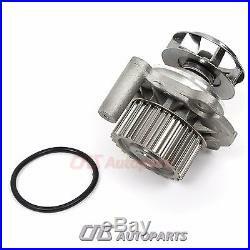 The item "Audi VW Beetle Golf Jetta 1.8T Timing Belt Water Pump Kit 1.8 20V metal impeller" is in sale since Saturday, April 16, 2016.